Rather than return a shipment with insufficient postage or charge the recipient postage due upon delivery, carriers will opt to pass along the difference in postage or "postage adjustment" to the shipper. Chit Chats will receive these charges from our partner carriers from time to time. The differences in postage we receive from the carrier will then be applied to your Chit Chats account. Chit Chats does not receive proceeds from postage adjustments. If a postage adjustment has been issued for one of your shipments, you will receive a notification in your account. A record of all postage adjustments can be found in your transactions. You can also find details by clicking on the Transactions link for any shipment. When viewing the transactions for a specific shipment you will be given a breakdown including the adjustment amount and the reason for the adjustment. An adjustment ID will also be included for USPS shipments. What might cause a postage adjustment? The weight and/or dimensions entered for the shipment differ from what has been measured by the carrier. This may result in the shipment requiring a different postage rate or mail class altogether. Ex. A shipment weighing 1.5 lbs entered as a USPS First Class shipment with a weight of 15 oz. The postage adjustment would reflect the correct USPS Priority Mail rate that the shipment should have been charged. The shipment count entered for a batch differs from what Chit Chats actually received. This will result in Chit Chats making adjustments to the batch and/or entering the correct number of shipments in order to process your shipments. The shipment does not qualify for the service or packaging used. Ex. Shipment contents must meet the requirements for media to qualify for the media mail rate. Ex. USPS First Class mail labels cannot be used in conjunction with with USPS Priority Mail packaging. The shipment was mailed from the wrong origin or region. Postage rates are based on two addresses, the induction address (origin) and the delivery address. Your Chit Chats region determines the induction address of your shipments. Ex. Creating a shipment with your Chit Chats region set to Ontario but shipping at a Chit Chats branch in BC. 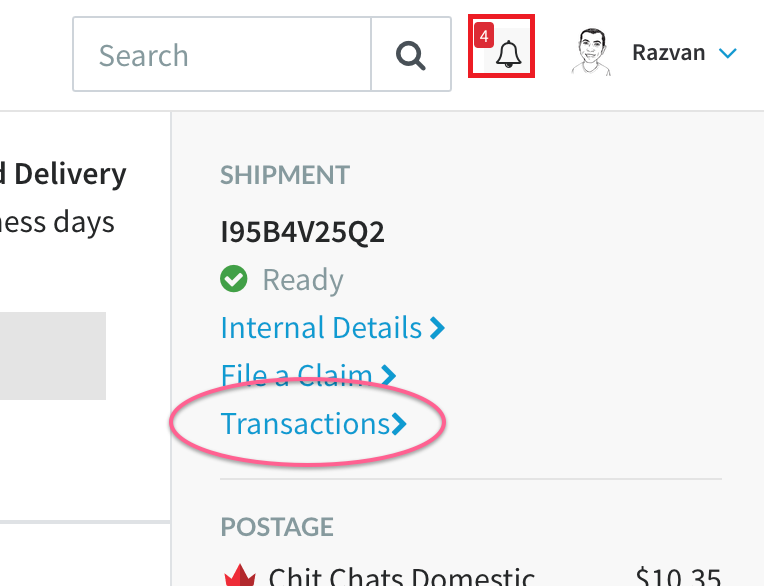 Please note: Chit Chats will automatically apply CAD $50 administrative fee in addition to any shortfall, per each instance, for any shortfall due to you submitting inaccurate count, weight and dimensions of your shipment.